Nowadays, it comes as no surprise when we discover more restaurants being infested with rodents and insects, and having unhygienic practices. Due to this, authorities are in full force as they track down these restaurants and eateries, in hopes of getting them to buck up. 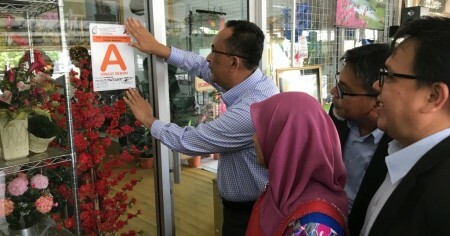 Now, another three eateries along Penang road have been checked by health inspectors and they found these premises to be heavily infested with rats. Thus, they were ordered to close for two weeks. The three eateries include a mamak, a chicken rice shop, and a cafe that is popular for its signature ice kacang that comes with its in-house durian ice cream and jelly. 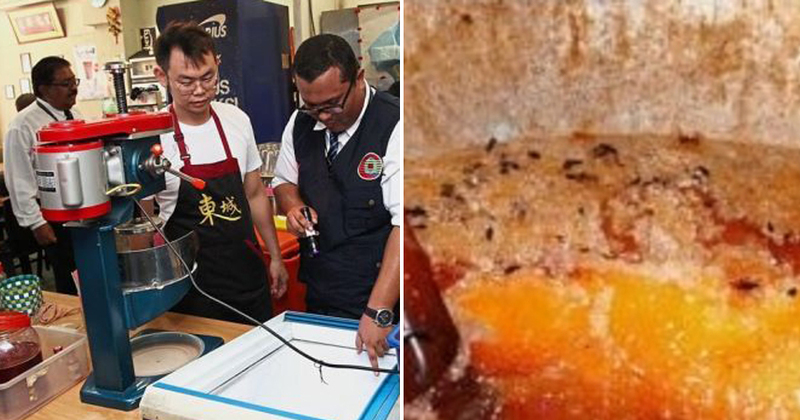 According to The Star, all the outlets had rat droppings in their shops, but one of them were found to have rat urine stains when the health inspectors shone ultraviolet light in the nooks and crannies. Ewww! They also found more than 50 little black faecal pellets from rats on a wok that was left in the sink. 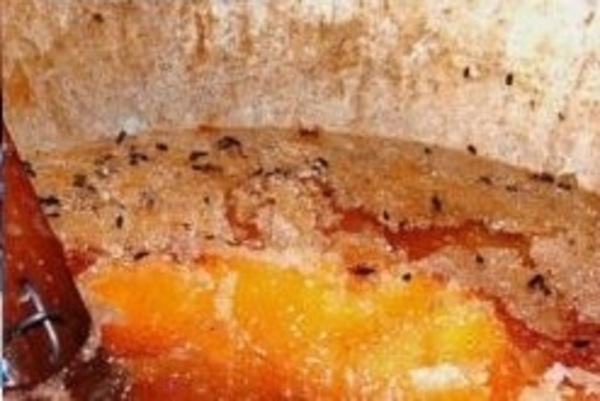 The wok was previously used to make traditional Indian sweetmeats, which now had remnants of orange confection covered in rat dung. More dung pellets were also found on the red lid of a bin next to the wok. This discovery is absolutely unforgivable as rat dung and urine transmit a wide range of diseases, including leptospirosis, which is life-threatening. It can also cause salmonella infections, which are not deadly but can spread quickly and inflict diarrhoea for days. Meanwhile, Penang was struck with an outbreak of hand, foot and mouth disease (HFMD) as well as dengue fever that have affected more than 4,000 people this year (2018). 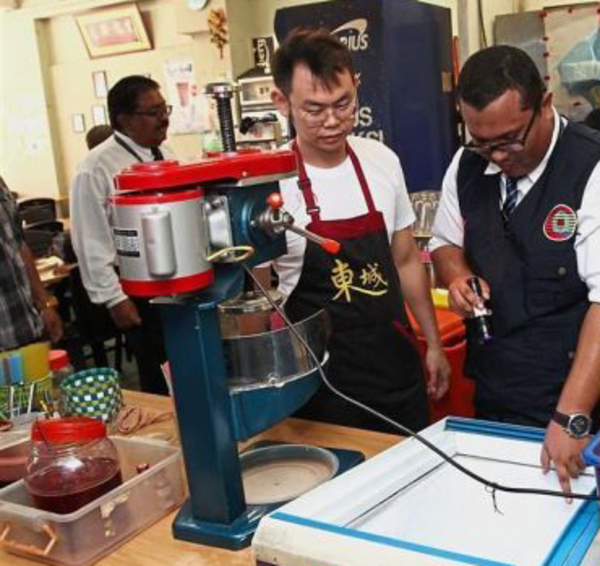 As such, Penang Island City Council (MBPP) and the state Health Department have stepped up enforcement operations to protect public health. The three that were shut down were among six eateries along Penang Road that were inspected by 20 officers. The officers issued 10 compounds ranging from RM100 to RM250 for offences like discharging waste into the drains among other unhygienic practices. MBPP senior health officer Goh Eng Chun said the city council wanted to enhance the level of cleanliness at eateries here. “This is our third inspection since July 12. With more tourists coming to visit the island, we have to ensure that the food is clean and safe,” he said, adding that from now on, surprise inspections would be carried out weekly instead of fortnightly. It’s good that the authorities are now taking public hygiene seriously. Meanwhile, let’s be good citizens and try to keep Malaysia as clean as possible.